Being very short on time these days with various sports activities keeping us out of the home all but one day during the week, meals have become quiet monotonous to say the least! 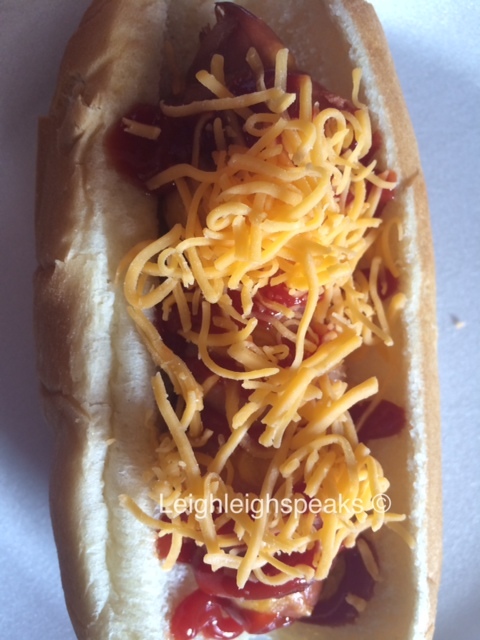 Today I got a wild hair and decided to put a spin on the children’s beloved Hot Dog! 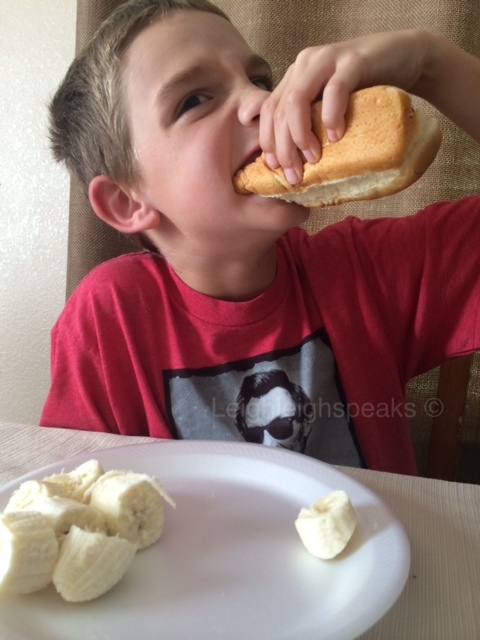 Since dear Son was my taste tester I let him name it! 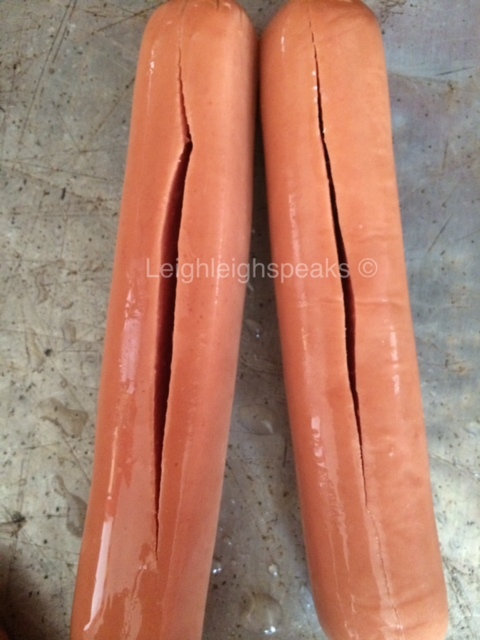 Using your knife cut a slit through weenie from top to bottom. 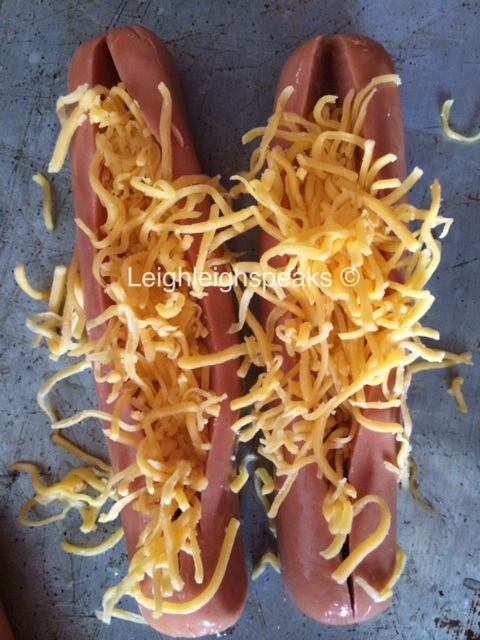 Next, take your shredded cheese and begin to stuff the inside of the weenies with your cheese. 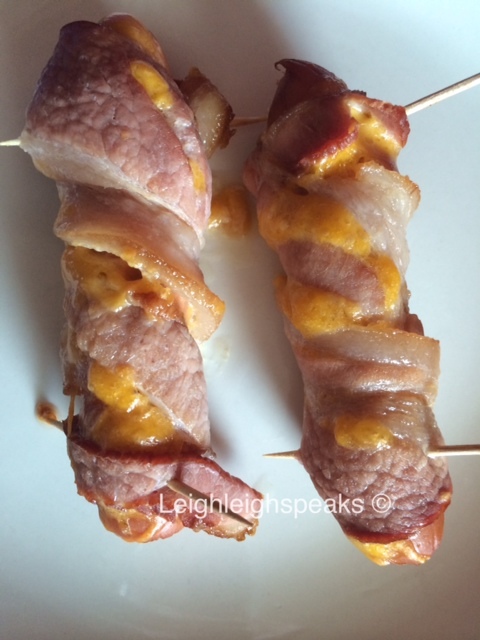 Using both hands poke the bacon with your toothpick at the top of the weenie. 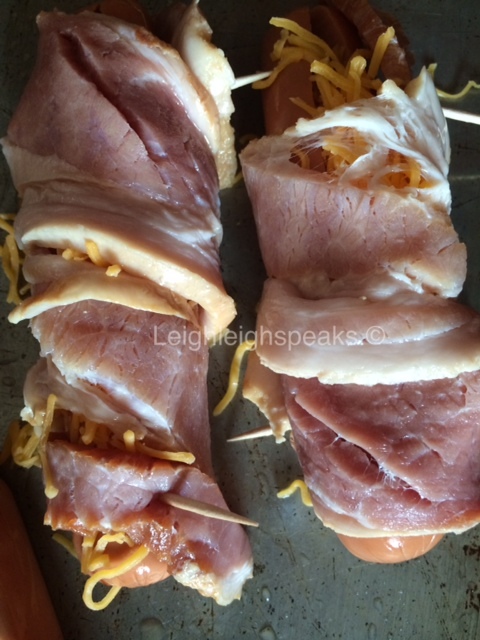 Wrap the bacon all the way down the weenie and secure the bacon with another toothpick. I was able to use two toothpicks per weenie. Now it is time to put these little bacon doggies in the oven. Remember to use a deep baking dish as the bacon grease will be oozing off the bacon as it bakes. I baked mine at 350 for about 23 minuets. Ta Da! PERFECTION! 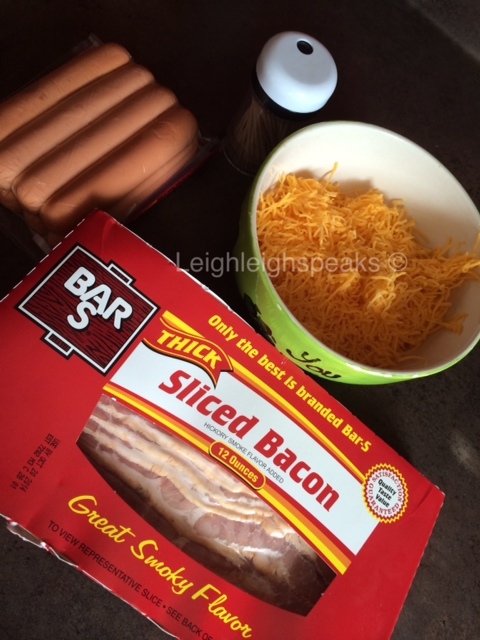 The Bacon Dog is ready to be dressed up on the hot dog bun! Now it is time to serve! 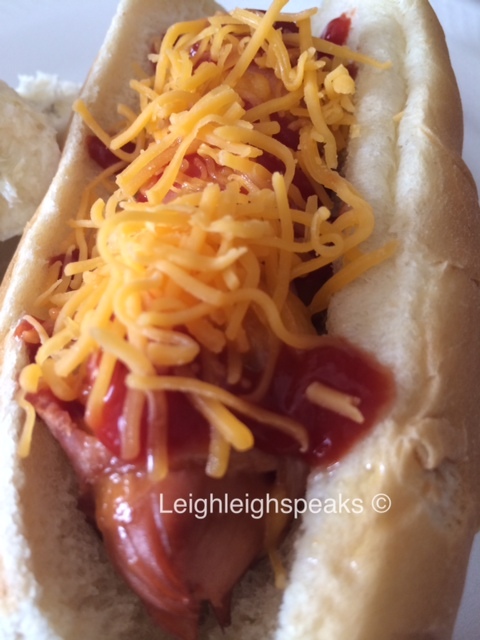 My son likes his Bacon Dog with Ketchup and extra cheese! I did have chili to put on top, but we didn’t use it tonight! YUMMMMMMMY! Oink Oink, Wuuf Wuuf! 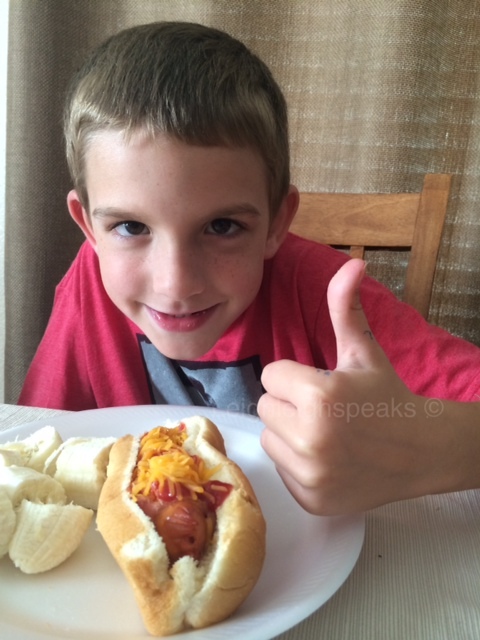 Jett gives it a big Thumbs UP and your kids will TOO!! Don’t forget to follow my blog on Facebook http://www.facebook.com/leighleighspeak.com, subscribe via email, or follow me on Twitter!